The February issue of SupplyChainReview magazine, Australia’s leading supply chain and logistics publication, features a 36-page fork truck buyers' guide incorporating news, reviews and a comprehensive specifications listing. The special report, ForkTruckSearch, features not only information on fork lifts but also specifications for pallet trucks, reach trucks, pallet stackers and order pickers, sideloaders, tow tractors, turret trucks and container handlers available in Australia as well as rental rates and information. 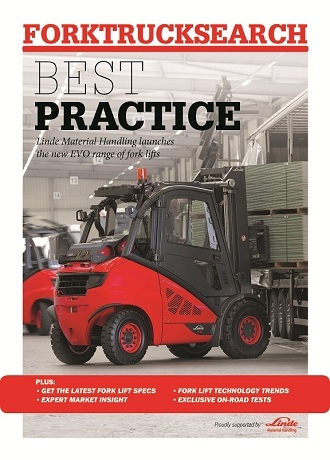 The guide is accompanied by experts' insights into market trends as well as informative reviews of the latest products, including on-road fork lift tests. The February issue of SupplyChainReview is now on-sale via subscription. SupplyChainReview is a bi-monthly magazine providing the latest information and news on supply chain industry trends, issues and products in procurement, warehouse and distribution management, material handling etc. Subscribe to SupplyChainReview magazine or visit supplychainreview.com.au to find out more about the publication.